Maitreya is derived from the Sanskrit word maitri, meaning universal loving kindness. Our Maitreya private villa is a one bedroom villa that offers all the luxury and comfort you need to relax and take a break from your fast-paced life. Villa Maitreya is set overlooking the Bebengan River and is the closest resort villa to the spa rooms, making it ideal for guests who are staying with us for an authentic Bali spa experience. With its own private pool, open air lounge and impressively big bedroom, this is our largest single villa on the estate. Nestled into a luscious garden is an incredible private outdoor bathroom, oozing traditional Balinese style. 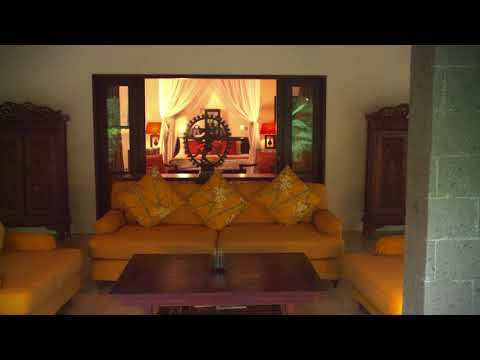 All of our wonderful villas include Sonos speakers for you to use during your stay. For more information on this luxurious Bali accommodation option, email rejuvenation@sukhavatibali.com or enquire online here.